PLEASE NOTE THIS HANDSET IS FOR PRE ORDER ONLY WITH APPROXIMATE RELEASE DATE OF 26TH APRIL FOR SIM FREE STOCK. The improved performance of the Kirin 980 mobile process chipset, along with lower power consumption. Complimented with 8GB RAM and 512GB of internal storage, make the Huawei P30 Pro a powerhouse of a smartphone. Which excels are when you are playing the latest demand games or need to use multiple apps. The Kirin 980 is the world's first 7nm mobile process chipset with stronger performance and lower power consumption. 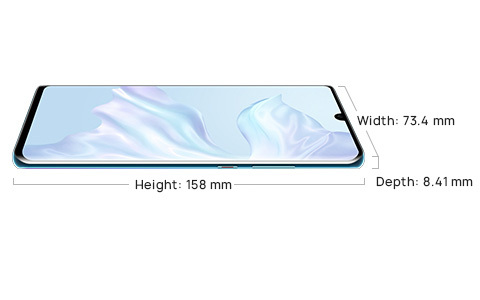 This innovative chipset plus up to 8GB of RAM and 512GB of memory storage,4 reveal a performance powerhouse in the HUAWEI P30 Pro.